Think road trip, NASCAR drivers and a custom Mustang for one lucky fan. 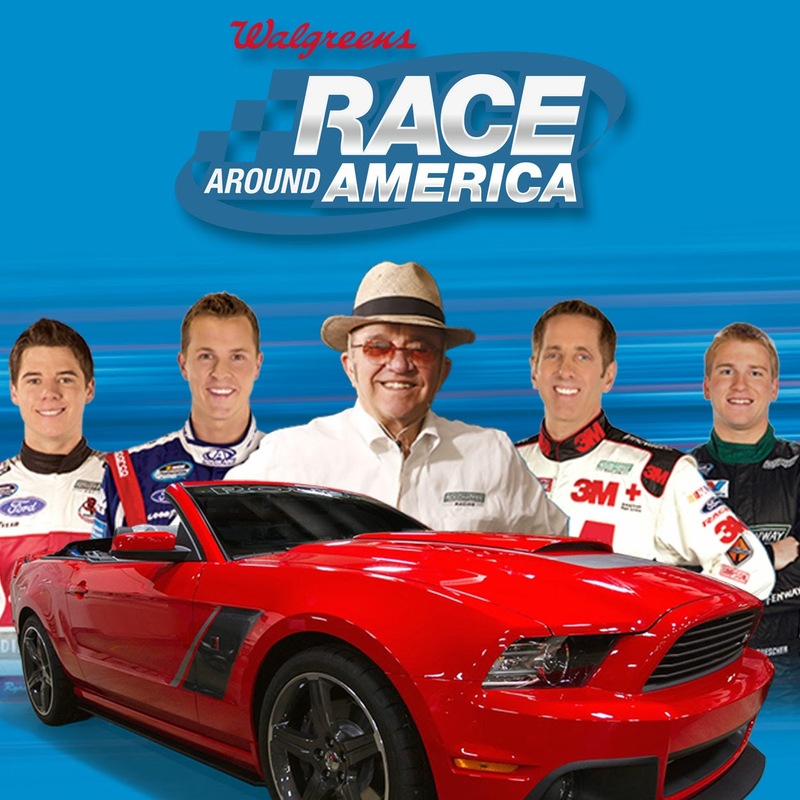 “Race Around America” allows fans to interact during a road trip featuring RFR drivers Greg Biffle, Trevor Bayne, Chris Buescher and Ryan Reed. The drivers will be behind the wheel of a ROUSH Mustang driving across the nation throughout the 2014 racing season, beginning in Daytona and ending in Homestead. Fans will use a website to shape the outcome of the "race." The site will officially launch on Monday, Feb. 3. Participants will have the opportunity to play a role in choosing the paint scheme for the Mustang, pick from possible upgrades that will aid in the car's transformation and choose the course the drivers will take from one track to the next. Decisions made by fans will play out through a series of eight webisodes detailing the six road trips. These online episodes will show the Mustang's metamorphosis into a ROUSH Stage III. At season's end, one lucky fan will walk away with the actual ROUSH Stage III Mustang featured in the webisodes. To learn more visit www.racearoundamerica.com beginning Feb. 3 for more details and follow hashtag #RaceAroundAmerica.